Chandigarh College of Engineering and Technology (CCET) is under the administrative control of the Chandigarh Administration and is affiliated to Panjab University for its degree courses and Punjab State Board of Technical Education for its Diploma courses. CCET, formerly known as Central Polytechnic Chandigarh (CPC), was established in 1959. The Chandigarh Administration upgraded the CPC to CCET, thanks to the then Administrator Lt. Gn. JFR Jacob, by introducing two branches of engineering in 2002. Electrical & Electronics Communication Engg. Placements ; Following is the list of our previous recruiters. Campus: Chandigarh College of Engineering and Technology (CCET) is under the administrative control of the Chandigarh Administration and is affiliated to Panjab University for its degree courses and Punjab State Board of Technical Education for its Diploma courses. CCET, formerly known as Central Polytechnic Chandigarh (CPC), was established in 1959. The Chandigarh Administration upgraded the CPC to CCET, thanks to the then Administrator Lt. Gn. JFR Jacob, by introducing two branches of engineering in 2002. Central library: To support the academic requirements of the faculty & students, the college has a well stocked library with a collection of about 7266 volumes in Science & Technology, catering to the needs of about 700 members (Both faculty & students) imparting/pursuing studies in four different branches of Engg. The library is continuously in the process to acquire text books & reference books, to keep its reader abreast with the latest information. The library of the institute aims to facilitate academic & research activities of the faculty & students by providing timely information & resource through cost effective means. The college library is organized into various sections, which are managed by professionally qualified staff. The library is also institutional member of British Library and is entitled to draw 10 books, 5 back issues of the periodicals and 2 video cassettes. British Library also provides information for studying in Britain and about various British examinations like IELTS, BEC, PLAB, YLE etc. Hostel: Hostel is the home for all the students who are living away from their homes. This makes the hostel an indispensable part of college infrastructure. 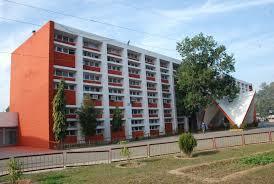 The college campus is including separate hostel for girls and boys. Hostellers are being provided with round the clock internet facility with a bandwidth of 128kbps. The hostel mess provides all its residents with hygienic food which caters to taste of everyone. Moreover, hostel has a table tennis room and a badminton court along with televisions installed in both the hostels’ common room. Thats great I found one engineering college near my house and that so helpful for me and this college is reputed also .